Bose’s Soundlink bluetooth speakers have consistently been some of the best sounding speakers. However, every once in a while, something doesn’t function quite right and it needs to be reset or paired again. Here's what you need to know to reset a Bose Soundlink speaker and what a reset will do to it. If you don’t already have the Bose Connect app, you’ll want to download it for added functionality and assistance with most newer Soundlink models. Even if you don't need help pairing, this is a helpful app for for Bose speakers and headphones. If you're running into issues like a Soundlink speaker won’t connect to a phone, the Bluetooth connection is unstable, or it doesn’t sound quite right, you can reset it to make sure there are no software issues with it. Resetting a speaker will clear the language selection, along with all other settings to restore it to how it was out of the box. Since it's a speaker and not a device personal data is stored to, a factory reset is more trivial. Prior to resetting a Soundlink, check to see if your speaker works with the Bose Connect app, which can update a speaker’s internal software. This might fix a problem without resetting it. 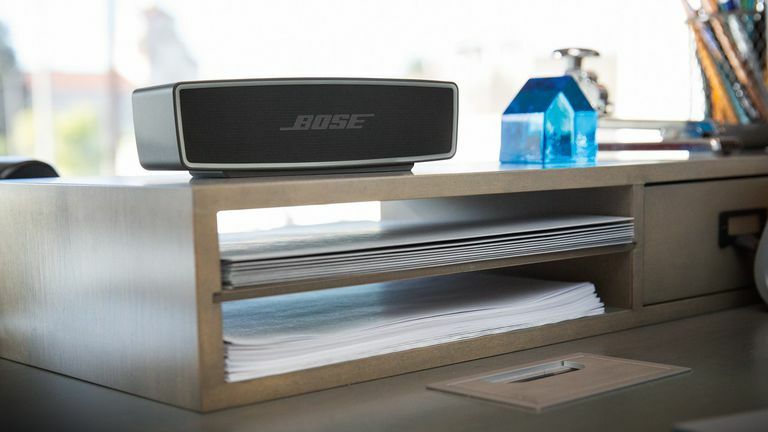 To reset the Bose Soundlink Color: Press and hold the AUX and volume down buttons for 10 seconds. To reset the Bose Soundlink Mini: Press and hold the mute button for 10 seconds. To reset the Bose Soundlink Mini 2: Press and hold the power button for 10 seconds. To Reset the Bose Soundlink Revolve: The Soundlink Revolve is the same as the Mini 2. Press and hold the power button for 10 seconds, until the speaker restarts and then resets itself. While the above are some of the most common Bose Soundlink speakers, quite a few Soundlink speakers Bose has made over the years. If you don't see yours listed here, Bose makes all speaker instructions available on its support website. Simply enter your specific model's name into the search box to learn how to reset your speaker.